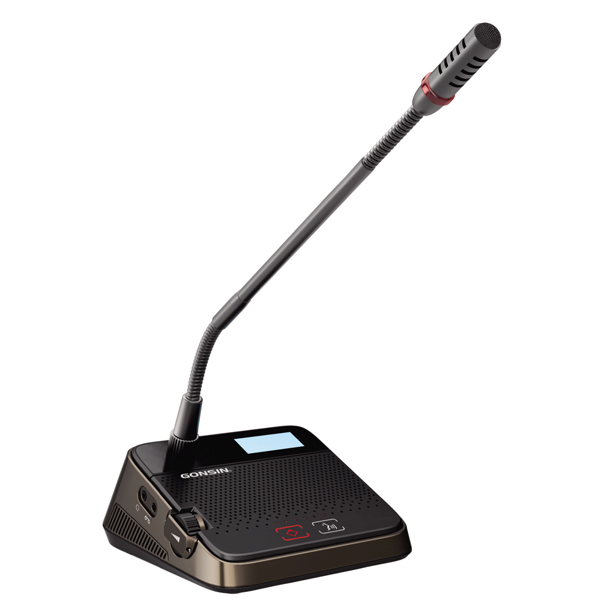 The paperless multimedia function of the DCS-2021 economical paperless conference system can be realized by adding extended terminals to meet requirements of administrative conferences; this function can be extended as well with a pad or smartphone, which is a most economical paperless conference solution. Though budge is limited and investment is difficult to realize in a short time, DCS-2021 can help you upgrade the voting or paperless function anytime. How to realize a paperless function for the chairman terminal when the delegate terminal does not come out with the voting function? DCS-2021 allows users to set functions for single terminal, meeting requirements of organizing and operating different kinds of conferences within a site. 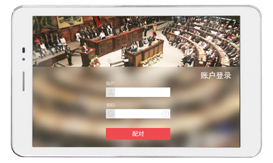 DCS-2021 allows users to upgrade different kinds of functions, including screen size management, attendance registration, voting, multi-screen interaction, conference notification, address navigation, timed notification, conference service, and conference control & management. 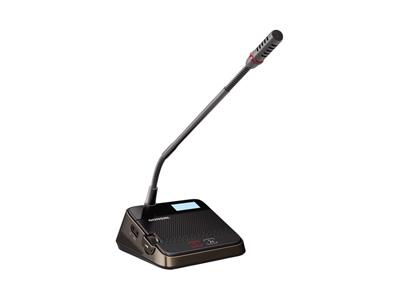 Besides the adding extended paperless conference function, the DCS-2021 discussion terminal allows the delegate to speak, request to speak, listen to speech, and has automatic camera tracking function. 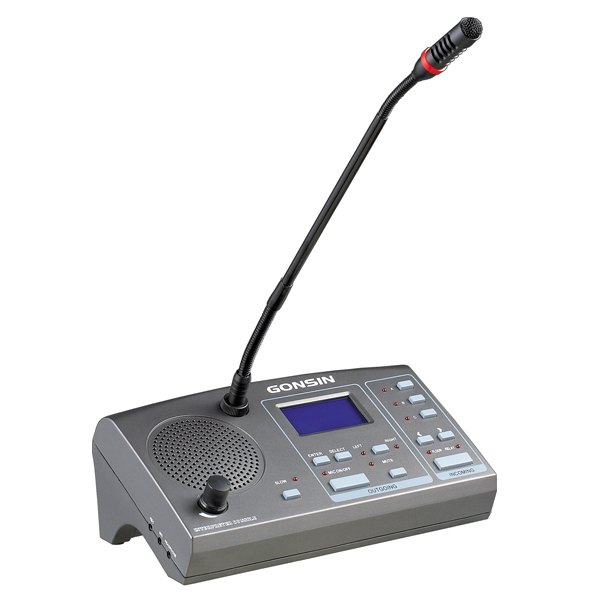 The discussion and interpretation terminal accommodates up to 32-channels; With a USB port, the handheld voting units can be externally connected to extend voting function; Each congress terminal comes with headphone jack and volume control for the delegate to hear the floor audio and any interpreted language channels, and adjust volume level for comfortable listening. 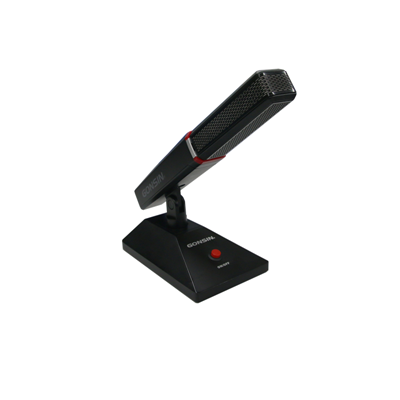 1 to 4 delegate microphones can be activated at the same time. 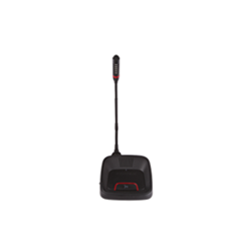 Built-in loudspeaker mutes automatically when the microphone is turned on. 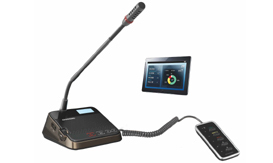 Under voiceactivated mode, the microphone is automatically turned on when the delegate speaks, and VOX sensitivity can be adjusted, which is user-friendly to ordinary clients and visually impaired clients. 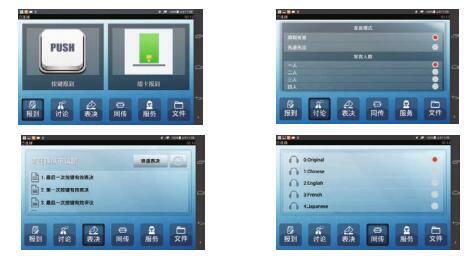 All-in-one capacitive touch button design will also improve users’ operation experience. 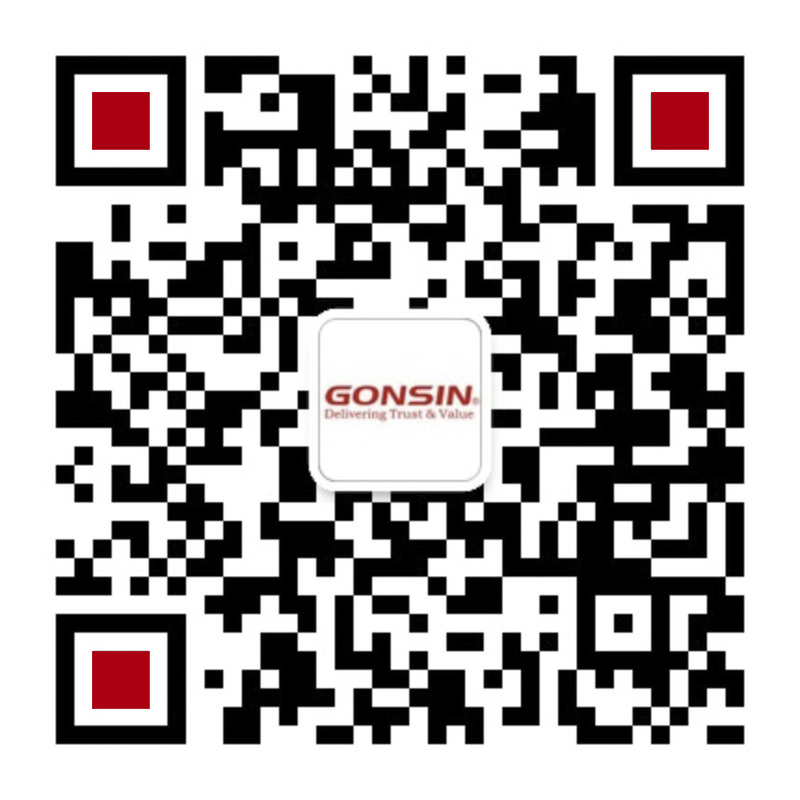 ◆ Extended terminals of paperless conference: by uploading the GONSIN Conference APP on the pad or smartphone, the paperless multimedia function can be realized. ◆ Microphone discussion: push to talk or request to talk. AUTO/FIFO/OPERATOR/VOX modes are available for microphone management. Speech can be heard via headphone or built-in loudspeaker. 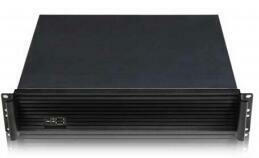 ◆ DCS-2021C/DI: Language interpretation: 1+31 channels. Channel number can be selected via Left/Right buttons. 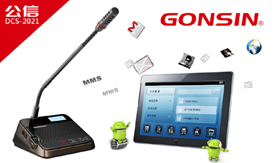 ◆ Voice-activated microphone mode: the microphone is automatically turned on when a delegate speaks. 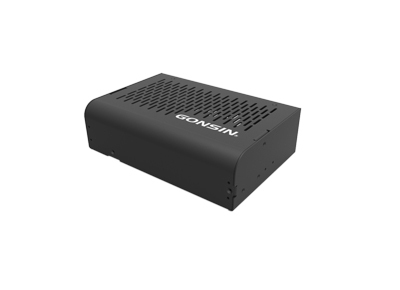 Sensitivity (H/M/L) and Mic time-out (20-250 seconds)can be adjusted on the congress server. 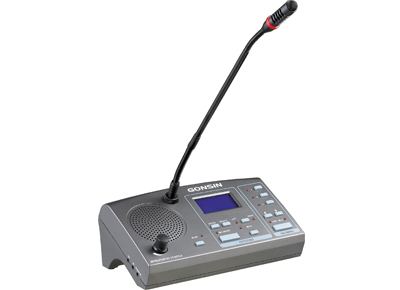 Four delegate microphones can be activated at the same time. ◆ Attendance registration: by key press or supplementary registration. 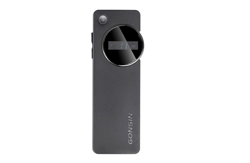 ◆ Automatic camera tracking with preset panoramic position. HD camera is supported. 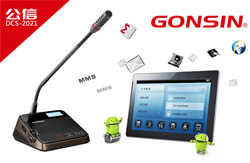 ◆ Congress terminal comes with a USB for feature expansion. 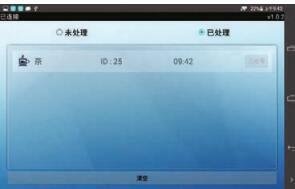 ◆ Dynamic LCD messages for registration, discussion and interpretation. ♦ Call service: participants place a call via an extended terminal. 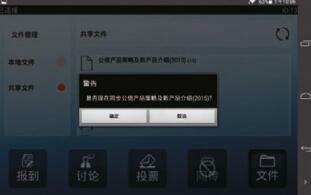 Notice: The terminal hardware is applied to the paperless conference extended terminal, paperless service terminal, paperless system management terminal. 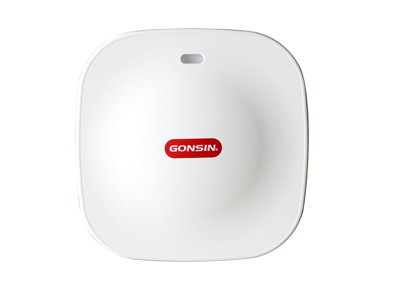 System capacitive: One wireless AP could support 40 seats, by adding wireless AP, the system could extend its capacity. ♦ Elegant industry design, harmony with conference venues. ◆ A/B/C incoming channels can be pre-selected. ◆ A/B outgoing channels can be pre-selected. ◆ A/B/C incoming channels can be preset easily and selected quickly. 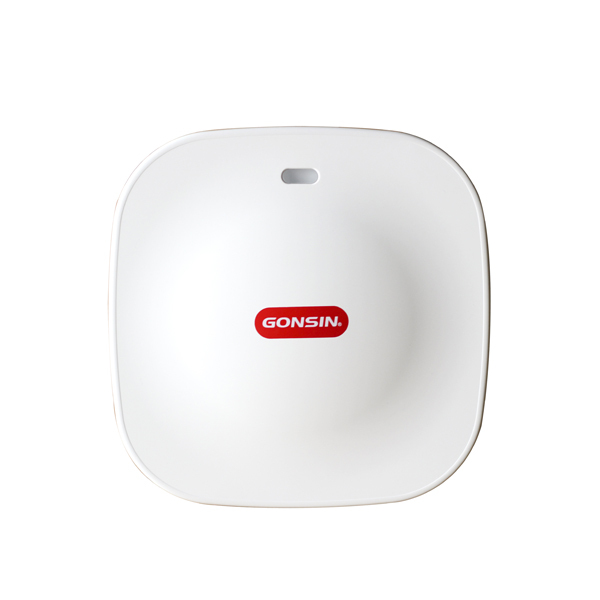 ♦ Voltage/current detection: in case of over-voltage and overcurrent,power is turned off immediately and alarm is sent to the server. ♦ Temperature check: in case of abnormal temperature, power is turned off immediately and alarm is sent to the server. 6. 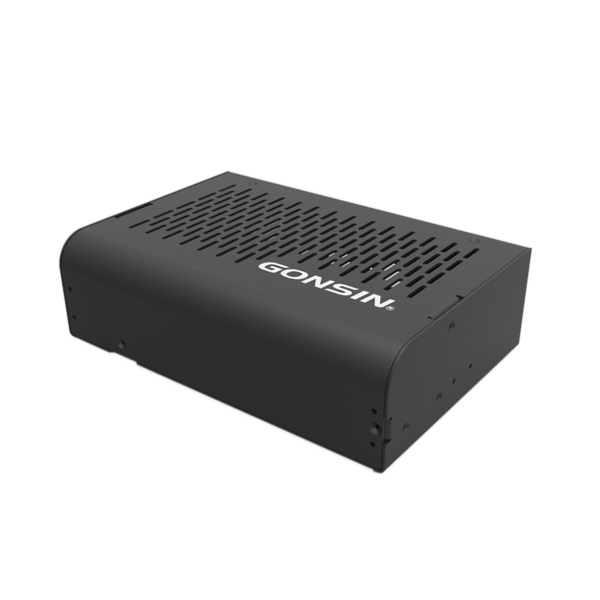 6P male connector interface (ROUTE IN), for connecting to congress server or preceding power HUB.